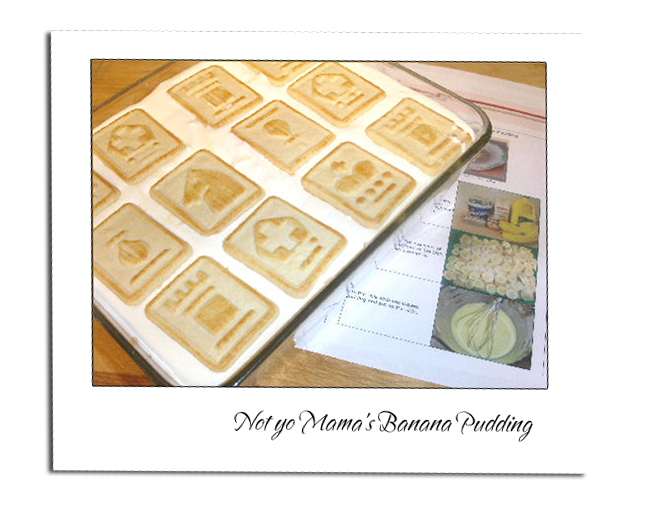 Banana pudding has a long history dating back to the 19 century, there isn’t much information available. What I did find is that bananas began to be marketed in the United States around the 19th century. Cooks were fascinated by this exotic fruit and began using them in existing recipes of cooked puddings and baked custards topped with meringue. A 1902 cookbook contains recipes for fried bananas, baked bananas, banana pudding, and banana cake in a section called Hawaiian recipes. In 1901 Nabisco began marketing vanilla wafers. No one seems to know which cook was the first to line the pudding dish with vanilla wafers but it caught on quickly, especially after Nabisco began printing the recipe on their vanilla wafer package. 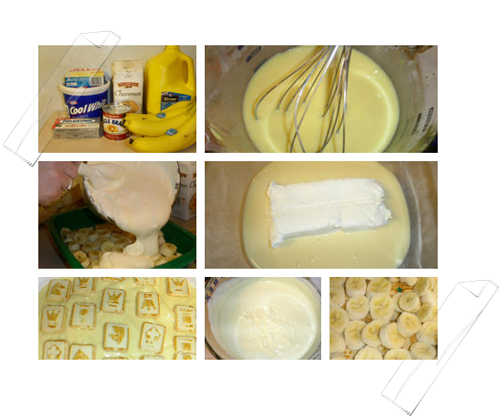 Banana pudding is a dessert common in the Southern United States. I personally do not care for the vanilla wafers so I use chessman cookies. Use a 9×11 pan. Put one layer of cookies on the bottom of the dish. And add the sliced bananas. Mix the milk with the instant pudding and put to the side. Next mix the softened cream cheese and the condensed milk. 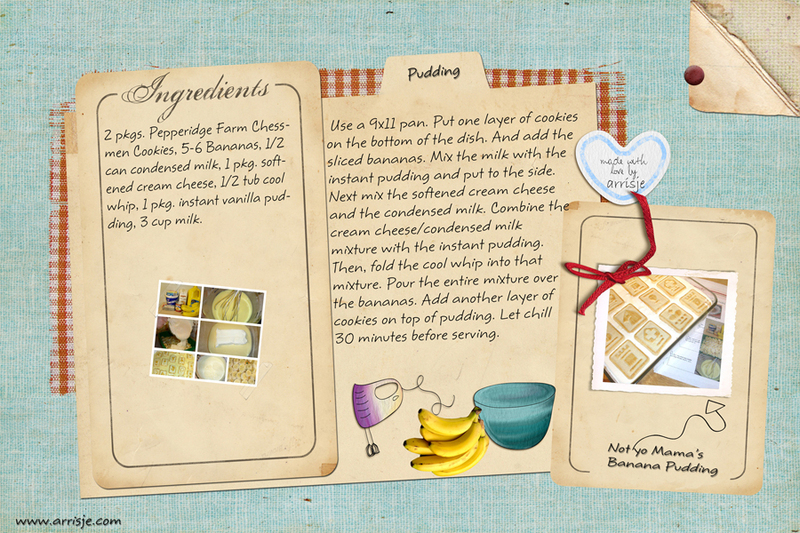 Combine the cream cheese/condensed milk mixture with the instant pudding. Then, fold the cool whip into that mixture. Pour the entire mixture over the bananas. Add another layer of cookies on top of pudding. Let chill 30 minutes before serving. Use a 9x11 pan. Put one layer of cookies on the bottom of the dish. And add the sliced bananas. Mix the milk with the instant pudding and put to the side. Next mix the softened cream cheese and the condensed milk. Combine the cream cheese/condensed milk mixture with the instant pudding. Then, fold the cool whip into that mixture. Pour the entire mixture over the bananas. Add another layer of cookies on top of pudding. Let chill 30 minutes before serving.